Apple aimed to stretch its lead in the smartwatch market when it introduced its Apple Watch Series 4 last week. The redesigned and re-engineered line features a bigger display, thinner and smaller case, an interface with richer detail, and some innovative health applications enabled by new sensor, accelerometer and gyroscope hardware. “Between watchOS 5 and what they revealed to us last week, there’s a lot of cool things to like about this,” said Ramon T. Llamas, senior research analyst at IDC, a market research company in Framingham, Massachusetts. “When you add the new features, it creates a significant improvement over previous versions,” noted Ross Rubin, principal analyst at Reticle Research, a consumer technology advisory firm in New York City. Apple Watch comes in two sizes — 40mm and 44mm. Both have edge-to-edge displays with more real estate than previous models. The screen on the 40mm watch is 35 percent larger than its Series 3 predecessor, while the 44mm is 32 percent larger. The watch interface has been optimized to accommodate the larger screen, allowing for larger icons and fonts. The speaker on the Series 4 watches is 50 percent louder and optimized for phone calls, Siri and Walkie-Talkie, which is Apple’s version of push-to-talk. The watch’s microphone has been relocated to reduce echo and improve sound quality. The S4 chip gives the watch more muscle. It contains a dual-core 64-bit processor with twice the speed of previous models, while maintaining the all-day battery life of its slower progenitors. Apple has improved the watch’s radio wave reception by building its back out of ceramic and sapphire crystal. The watch’s crown has been modified to provide haptic feedback, which gives the fob a mechanical and responsive feel through the sensation of incremental clicks. In addition, new electrodes have been built into the crown. Together with the watch’s new heart rate sensor and ECG app, they can be used to take an electrocardiogram.. The ECGs, which take about 30 seconds to complete, can report if a heart is beating normally or a condition exists that should be reviewed by a healthcare professional. Heart rhythms are monitored intermittently by the watch, so it can alert you if an irregular rhythm is determined or your heart rate exceeds or falls below a specified threshold. All monitoring information is stored in the watch’s health app in PDF format so it can be shared with a physician. Series 4 watches also can detect falls through use of new accelerometer and gyroscope technology. After a fall, the watch sends you an alert that can be ignored or used to call for emergency services. If the watch detects that you haven’t moved for more than 60 seconds after sending a notification, it automatically will alert emergency services, as well as your emergency contacts. “The health monitoring features are the headline of the new device,” said James Moar, a research analyst at Juniper Research, a market research, forecasting and consulting company in Basingstoke, UK. “The appeal of heart-rate monitoring for insurers and, to a degree, caregivers will be relatively large,” he told TechNewsWorld. “However, its price point means that it will not be easily available on any but premium insurance plans,” Moar noted. FDA clearance of the watch is something consumers may find compelling, observed Tuong Nguyen, senior principal analyst at Gartner, a research and advisory company based in Stamford, Connecticut. “Although the technical FDA terminology — ‘cleared’ vs. ‘approved’ — might be too opaque for typical consumers, the acknowledgment and association with a regulatory body makes a better argument for purchasing this device,” he told TechNewsWorld. Being FDA-cleared opens up the adoption potential among a broader set of users beyond tech enthusiasts, Nguyen continued, whether it be direct purchase — user for user’s use — or indirect purchase — someone buying it for a parent or grandparent. There’s tremendous promise in something that can monitor people for potential health risk events, Rubin told TechNewsWorld. “Over time, it may alert us to a broad range of potential issues, possibly in advance of diagnosis,” he said. Apart from the health features, most of the improvements in the watch are incremental and performance-related, which will be hard for consumers to relate to, suggested Juniper’s Moar. 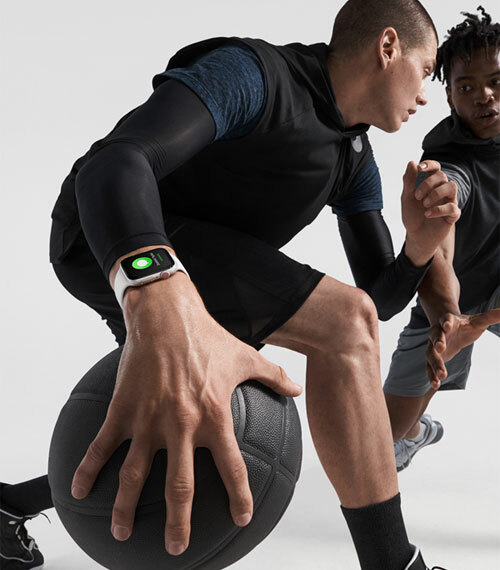 Because the watch’s headline features target better health monitoring, it appears that older consumers and those with chronic conditions are the target market, said Moar. 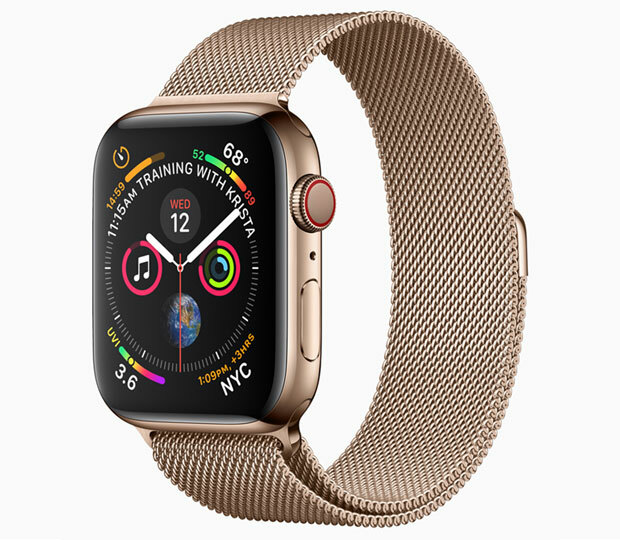 Preordering of Series 4 Apple watches began Friday, with the GPS version priced at US$399 and the GPS+Cellular edition at $499. Those preorders were going “better than expected,” according to well-known Apple analyst Ming-Chi Kuo, whose research note was published in MacRumors on Sunday. Apple Watch sales will hit 18 million in 2018, with Series 4 units making up 50 to 55 percent of those sales, Kuo predicted. Although Apple has had a measure of success in the smartwatch market, the market as a whole has been sluggish. “It’s been a slow moving market overall, but a fast growing market for Apple, which has a dominant share,” Reticle’s Rubin said.